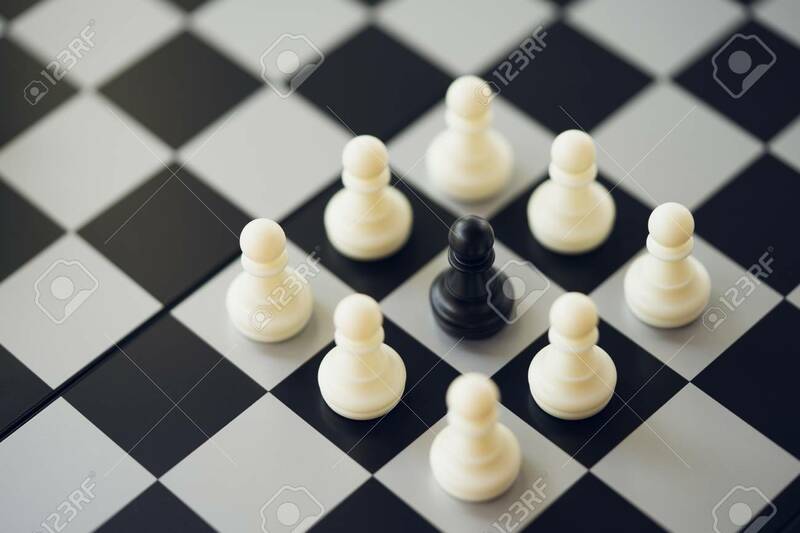 Chessboard With A Chess Piece On The Back Negotiating In Business. As Background Business Concept And Strategy Concept With Copy Space. Lizenzfreie Fotos, Bilder Und Stock Fotografie. Image 114602982.